As the need for cross-trained healthcare professionals increases, NTI has created the Maine-based Phlebotomy EKG Technician Program. Through our phlebotomy training, we place emphasis on the safe practice of collecting adequate and correct blood specimens by capillary or venipuncture in adults, children and newborns. The program also includes the correct and accurate obtaining of an EKG tracing and cardiac monitoring. Our EKG Technician training program consists of classroom and simulated laboratory settings. As a graduate of this program, you’ll be prepared to achieve National Certification. National Certification is recognized throughout the industry and let’s employers know how capable you are. Imagine knowing that the work you do helps to diagnose and treat illness and contributes to the health and well-being of your community. Specific duties may include performing venipuncture by vacutainer, butterfly, and syringe methods, capillary blood collection, electrocardiography with basic interpretation, and infection control. Students must demonstrate successful specimen collection with venipunctures, skin punctures, and EKG tracings. 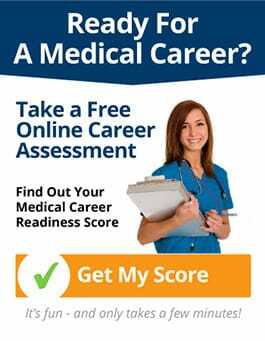 Is a Career as a Phlebotomy/EKG Technician Right for You? Find Out! Take the "NTI Phlebotomy/EKG Technician Career Readiness Quiz"
For more information on this career and to explore if training as a professional Phlebotomy/EKG Tech at Northeast Technical Institute is right for you, fill out the form on the side of this page to receive free career and program information right away. To speak to a friendly and knowledgeable NTI Career Advisor, call us at 1-800-447-1151. Ask about coming in for a free tour of the campus nearest you. See for yourself what career training from NTI is all about, and how this could be the change you’re looking for.